Okay, here’s something I thought I’d bring up concerning certain rumors floating around about the upcoming Star Trek film, Into Darkness, namely that Spock might die in said film. I certainly hope he won’t, and if he does, I won’t be pissed off so much that he died, but that we’ve already seen a plot device like this in the Star Trek franchise before, and having him die in Into Darkness would just be an awful rehash. Yes, I’m talking about Spock’s heroic and no less iconic death in Star Trek II: the Wrath of Khan. We’ve already seen a Star Trek sequel where Spock dies to save the rest of the honorable crew of the U.S.S. Enterprise. Why on earth would we have Spock’s character make a sacrificial death in another Star Trek sequel? I get that in the first movie, the plot was constructed with the intention that the original “timeline” as we knew it to be had been changed because of the whole time-travel thing, so that all bets were off as far as what happened to certain characters–like Spock’s mother dying for instance, because of course we’ve seen her alive and well in such films as Star Trek IV: the Voyage Home. So theoretically, in this tangential timeline, Spock could die all over again in a totally different way, but still touchingly with the purpose of sacrificing his life to save others, just as his character did in Wrath of Khan. But as tempting as that would be to depict, it would be a poor choice as far as what direction the plot should move in. Because it’s already been done, and the idea of Spock dying in Into Darkness would be a bit like someone did some simple copy and pasting. Not so great now, is it? 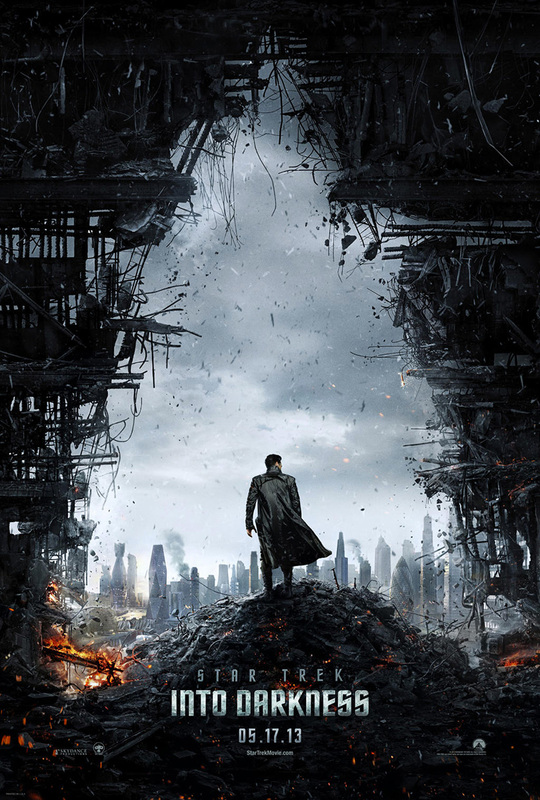 And of course we know that this film has already promised to break the boundaries of what Trekkies and other fans alike expect from the Star Trek universe. Though if you think that Spock is going to die in Into Darkness, simply because of that telltale screenshot in the trailer with two hands on either side of a separating piece of glass, like a sentimental farewell between two loyal friends–just as Kirk and Spock were separated by glass in Wrath of Khan as Spock died from the radiation inside the glass–then by all means, speculate that that’s what might happen. I’m not saying that to think so is incorrect, I’m just saying that if that is what happens, I’ll be a little more disappointed than aggrieved. This is what I’d call the “ugly” side of recycling. There are, of course, other sides to recycling however, because originality doesn’t come something new in and of itself, but rather something we are familiar with seen in a new way. 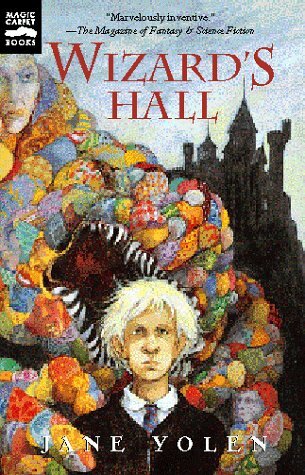 I won’t lie that I was just as surprised as many others probably were, and others may still be, that before Harry Potter strolled onto the scene, Jane Yolen had published, Wizard’s Hall, a book about a boy named Henry, aka “Thornmallow”, who gets sent to a school to train as a wizard. 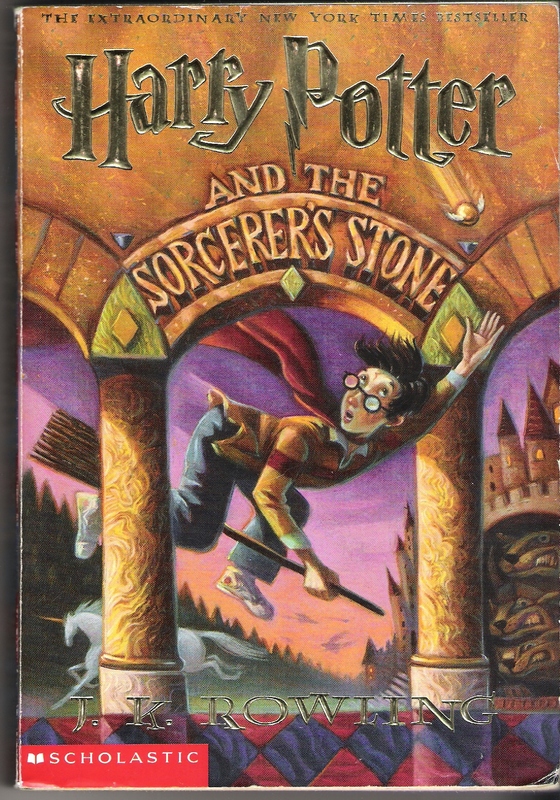 I felt bad for Jane, only because I’ve read of an account or two where people accused her of having plagiarized off of Harry Potter–until they took the time to note that the copyright date on Yolen’s book preceded that of Rowling’s. So no, as inventive as Harry Potter was (and totally awesome), the idea of a boy being invited to train as a wizard at a school of magic is not a new thing. And many plot devices in Harry Potter have been compared to Star Wars, Lord of the Rings, etc. What J.K. Rowling did was she made these plots and devices her own in a way that captured enough people with the conditions being just right that her idea catalyzed into one hell of a franchise. This is the “good” side of recycling. Reinventing something so that it takes on a uniqueness that readers enjoy. Which takes a little bit of the weight off, because now you know you don’t have to sit there curled up in a fetal position wracking your brains for a “totally new” idea. Now all that’s left is the “bad” side of recycling, which could in fact be confused with the “ugly”, but let me tell you what I think would be the difference. The “ugly” is when the reaction’s just plain, “No, no, no, no, no. Just no.” Whereas the “bad” is that there were good intentions in the beginning, but the author/creator pulled it off badly and it didn’t turn out as well as one might hope. Though of course, to be politically correct, I will say that this is always a matter of opinion. Yes, even where the “ugly” is concerned (though in my case above for Star Trek, I think I’m pretty confident in my conclusions to that). Now I can’t exactly make an informed opinion on this, because I haven’t actually read this book, though I’m aware of the basic premise, thanks in part to the film adaptation that just came out in theaters. Beautiful Creatures, it would seem, is depicting witches and wizards with a new spin, that they are in fact “Casters”, and have been throughout history what we mortals have ignorantly dubbed, “witches and wizards”. All with a little paranormal romance mixed in. The gist I get from it is that Lena Duchannes, a Caster who’s powers have yet to be “claimed for the Light or the Dark” falls in love with a mortal boy, Ethan Waite, in the southern hamlet of Gatlin, which puts her claiming in jeopardy of being chosen for “the Dark” (I don’t yet know why, and still haven’t decided if I’ll read the books or not, or maybe just see the movie). She has a relation, Seraphine, who is apparently the most powerful Dark Caster in all the world, and it would seem that she’s on a mission to bring Casters out of hiding to take over the mortal world (possibly in retribution for all of the witch-hating that’s gone on for centuries of history, from the earliest witch-burnings to the Salem Witch Trials and beyond?). Now I don’t know about you, but just from this I’m getting the sense of Seraphine as some kind of female Voldemort, and the concept of Lena and Ethan’s romance as drawn from the Twilight Saga’s main couple, Edward and Bella, with the roles reversed: this time the girl’s the one who’s supernatural and possibly dangerous. That’s actually something I wouldn’t mind seeing, just because such acts of skewing are handing over some power and control to the female–the villain is a woman, the hero is actually a heroine. But again, this is based off of what I’ve read in articles and seen in the trailers for the film. I can’t entirely say that Beautiful Creatures has tried to do what I myself have tried to do–reinvent the concept of witches and wizards–and have it come off badly. Granted, my only problem with these sorts of reinventions of witchcraft is that there doesn’t appear to be much regard for the religion of Wicca (whereas in my outlines for one of my novels where I take on this same feat, I try to give Wiccans their due). So maybe that’s really my only bone to pick with the book. That and the fact that there’s rather a lot of kissing in the trailers alone (which suggests this might have gone the way of Twilight with the bulk of the story being taken up by romantic candy), and perhaps the simple fact that I can’t see how falling in love with a boy would make a teenage Caster like Lena go “Dark”. So all of this about Spock dying in Into Darkness aside, if you find yourself wasting time and energy trying to come up with something totally and completely new, that’s not the way to go. The way to go is to recycle, and at the same time, reinvent. That’s key. It’s not enough to put your own spin on it (“vampires don’t actually burn up in the sunlight, they just sparkle”), you have to inject some kind of new life that makes others look at it in the totally cool new way you decided to look at it, and make sure that new way of looking at it actually serves a purpose. Not just that vampires sparkle instead of exploding into dust, but making the tweak to the lore serve a purpose, like maybe in Beautiful Creatures, the nature of Casters is explained, their history intertwined with the mortals’ version of history (witch burnings, etc.). Deborah Harkness actually seems to be heading in this direction in her own paranormal All Souls trilogy. 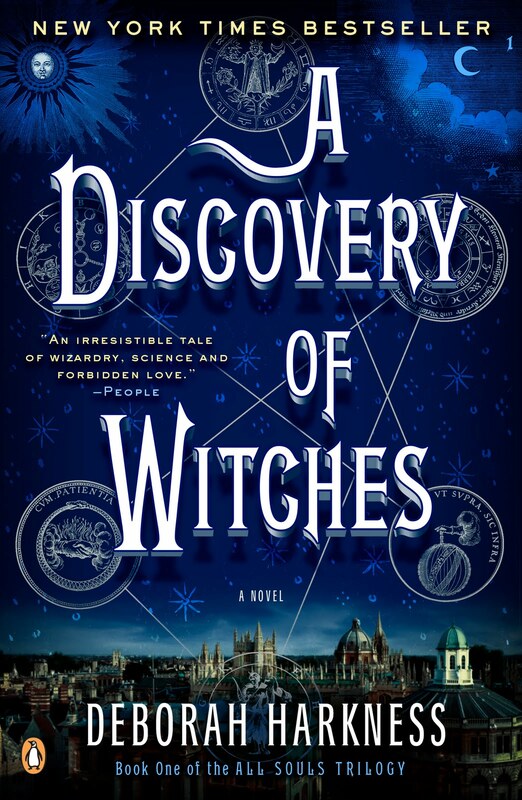 I’m in the middle of reading the first book, A Discovery of Witches, which seems to be an overlapping of witchcraft and vampirism, but also has whispers of the Charmed universe with the involvement of daemons–except that daemons in this world aren’t inherently evil, just insane with creativity. So far, the conflict at hand just isn’t about a romance between a witch and a vampire (hence my remark about witchcraft and vampirism overlapping), but also about the reason that the world contains four kinds of creatures: witches, vampires, daemons, and last but not least, humans–plus the idiosyncrasy issues that go with such a division of the world. There’s threat of extinction on the rise for all races, and at the epicenter of this crisis is a book that may have the answer to the origins of all four species of creatures. 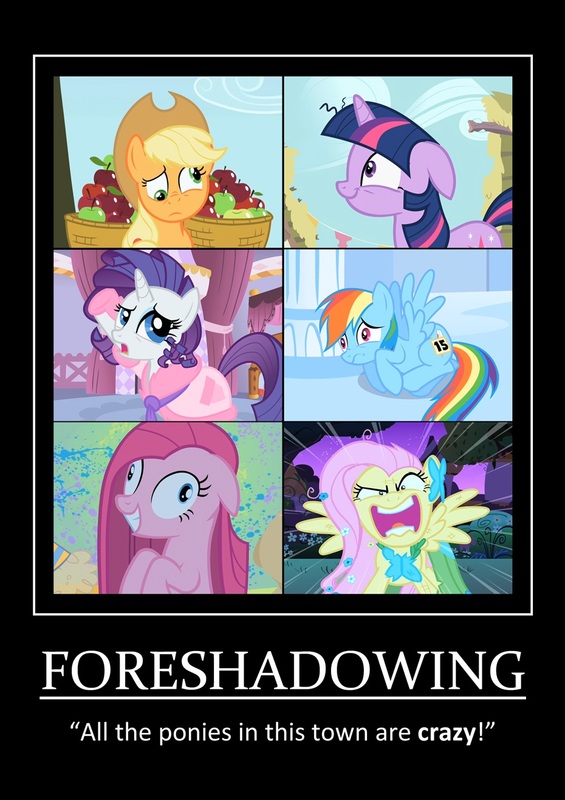 Twilight never delved much into the nature of its version of vampires. 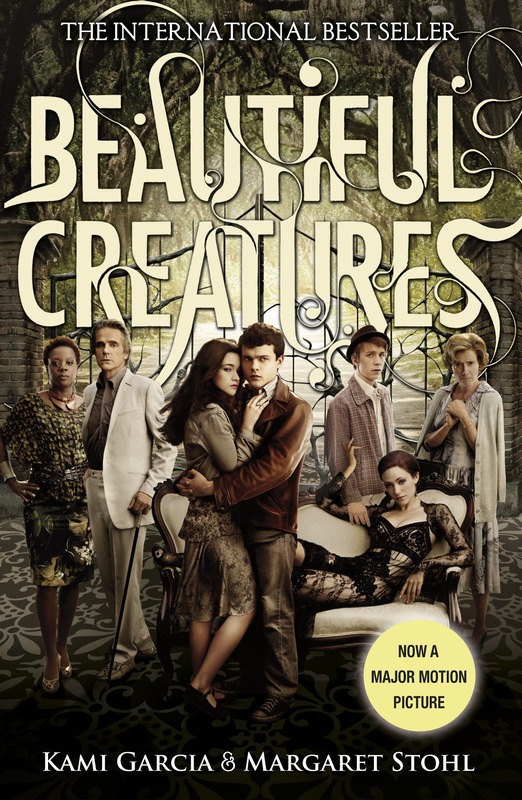 Beautiful Creatures just might involve the origins of its “Casters” in the development of the plot, enticingly increasing the complexity of the storyline (though judging from what I skimmed in a recent review of the movie, I’m afraid it might not have done). And (surprise, surprise), the movie rights have just been bought for the All Souls trilogy, so yes, A Discovery of Witches is going to join the parade of debut-paranormal-franchise-film-adaptions. But maybe I’m just hoping that after the unfortunate pitfalls of Twilight, things might improve where novels about the paranormal (and oftentimes romantic) are concerned. Previous Post Read. Write. Love. Originality is rare.Fact is, everyone is inspired by something, and that something is already existing. Totally agree. Although every so often I come across a gem that probably was inspired by something already existing (even if it wasn’t a book, like a city for example, such as in Neil Gaiman’s Neverwhere) but it’s done so well that you can hardly tell, and that’s what makes it so great. Plus Neil Gaiman is just awesome. Actually I would say that is something as unique as Neverwhere were based on anything as far as books are concerned, I’d say the closest would be the concept of hidden worlds, which has been depicted in fantasy novels for years. What Gaiman did was put an urban fantasy spin on it.